The Focal Plane Crystal Spectrometer, HEAO B-3. 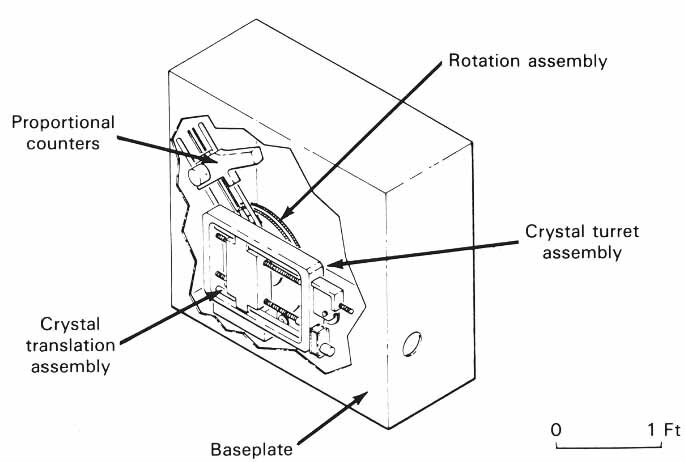 The Focal Plane Crystal Spectrometer made use of the X-ray diffraction properties of certain crystals to study in detail the X-ray spectra produced by celestial targets. The detector for the diffracted rays was a small proportional counter. This instrument could detect individual X-ray emission lines to h help unravel questions about the chemical composition and other properties of cosmic X-ray sources. The Principal Scientist was George Clark of MIT. Hardware was developed by MIT.